Publisher/Verlag: Schirmer/Mosel | Photographien. Eine Retrospektive. Katalog zur Ausstellung im Gemeentemuseum Den Haag, 2015. Dtsch.-Engl. | Seit über vier Jahrzehnten macht der holländische Photograph und Filmemacher Anton Corbijn (geb. 1955) Portraits von Künstlern jeder Gattung und Profession. Er hat preisgekrönte und vielbeachtete Spielfilme (Control mit Sam Riley, 2007; The American mit George Clooney, 2010; A Most Wanted Man mit Philip Seymour Hoffman, 2014; zur Zeit in Arbeit ist LIFE über Dennis Stock und James Dean) und an die 100 Musikvideos gedreht, ist in der breiten Öffentlichkeit jedoch vor allem für seine innovativen, sehr persönlichen Aufnahmen von Menschen bekannt, die auf die eine oder andere Art die Kultur unserer Zeit mitgeprägt haben: etwa Nelson Mandela, Robert de Niro, Gerhard Richter, David Bowie, William Burroughs, Lucian Freud, Clint Eastwood, Kate Moss, Miles Davis, Allan Ginsberg, Bruce Springsteen, Ai Weiwei, Patti Smith Seine Zusammenarbeit mit Musikern wie Depeche Mode, U2 und Tom Waits erstreckt sich über mehrere Jahrzehnte - eine rare Ausnahme in dieser Szene. Bei Schirmer/Mosel hat Corbijn 15 Bücher zu seinem photographischen und filmischen Werk veröffentlicht, vom bahnbrechenden Erstlingsband Famouz und dem All-Time-Bestseller Star Trak bis zum Langzeitportrait Waits/Corbijn und dem jüngst erschienenen Band Looking at A Most Wanted Man. | Format: Paperback | Language/Sprache: german/deutsch | 1935 gr | 350x277x25 mm | 240 pp. UMBRA - Viviane Sassen from Mutant Jukebox - Music & Sound on Vimeo. 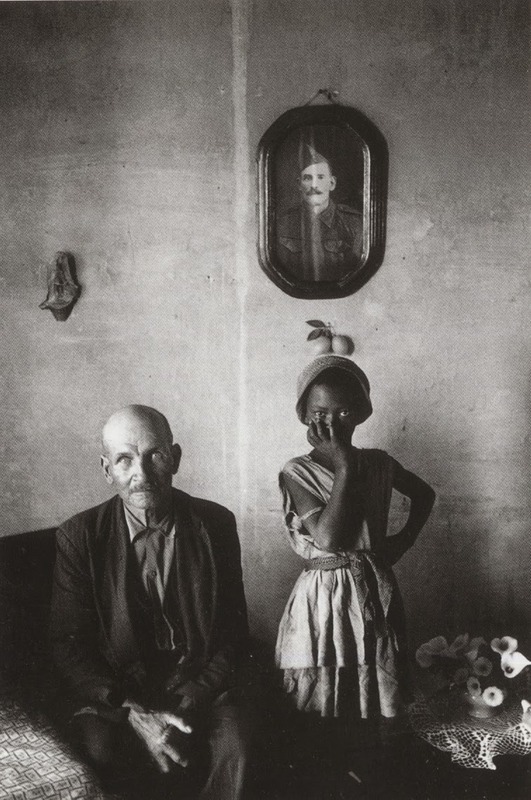 Neuware - Roger Ballen (b.1950) has lived and worked in Johannesburg, South Africa for more than 30 years. Born in New York, he worked as a geologist and mining consultant before starting his photographic career by documenting the small villages of rural South Africa and their isolated inhabitants. 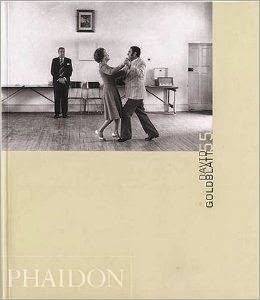 Outland, winner of Best Photography Book of the Year at Photo España in Madrid, Spain, was first published by Phaidon in 2001, followed by critically acclaimed Shadow Chamber and Boarding House (Phaidon, 2005 and 2008). 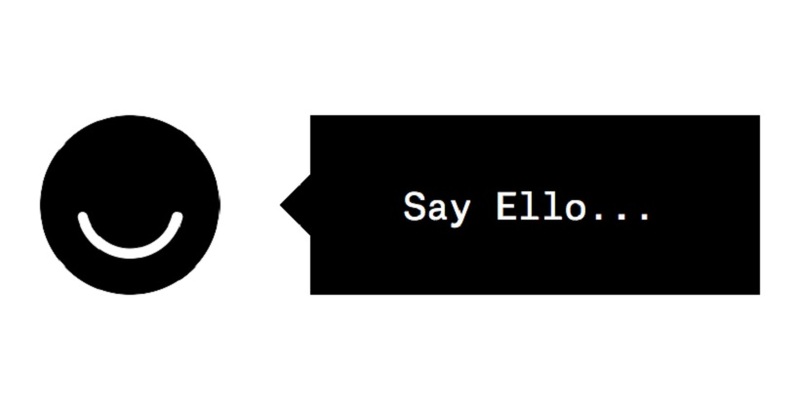 Ballen is represented by Gagosian Gallery. 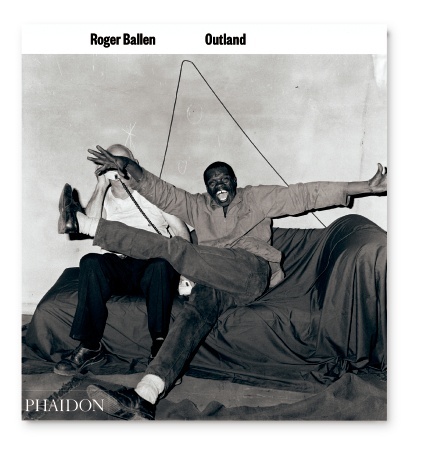 The seminal photobook from photographer and artist Roger Ballen, first published in 2001 and now available in an expanded edition with more than 25 never-before-seen images. His black-and-white photographs of South Africans on the fringe of society are powerful psychological studies: disturbing, exciting and impossible to forget. Powerful photographs of South Africans on the fringe of society 'Compelling, powerful, haunting.' Guardian 156 pp. Englisch. 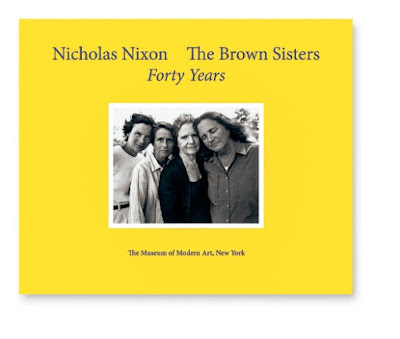 ICP Photobook Flip: The Brown Sisters - Forty Years by Nicholas Nixon from ICP on Vimeo. Synopsis: Pieter Hugo has garnered critical acclaim for his series of portraits and landscapes, each of which explore a facet of his native South Africa and neighboring African countries, including the film sets of Nigerias Nollywood; and toxic garbage dumps in Ghana; and sites of mass executions in Rwanda, as well as albinos, the Hyena Men of Nigeria, honey collectors, and garbage scavengers. 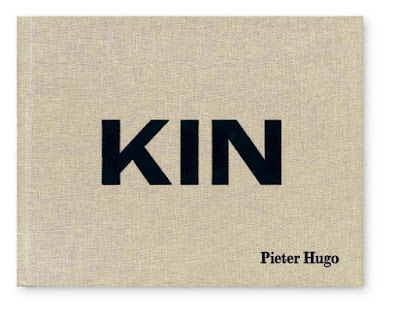 Kin , a collection of images shot within a few miles of Hugos home over the past decade, focuses instead on the photgraphers family, his community, and himself. Writer John Mahoney characterizes it as the artists first major work to focus exclusively on his personal experience in his native South Africa, a place defined by centuries of political, cultural, and racial tensions and contradictions. Hugo describes his series as an engagement with the failure of the South African colonial experiment and my sense of being colonial driftwood. South Africa is such a fractured, schizophrenic, wounded, and problematic place . . . How does one take responsibility for history, and to what extent should one try? How do you raise a family in such a conflicted society? This work attempts to address these questions and reflect on the nature of conflicting personal and collective narratives. 4 Real & True 2! 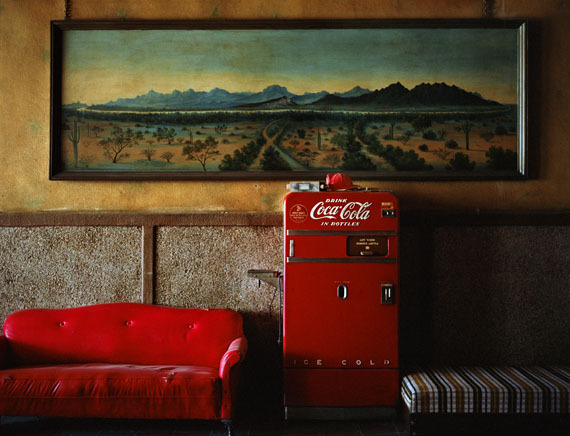 Film-maker Wim Wenders has spent decades photographing dusty roads and lonely landscapes. 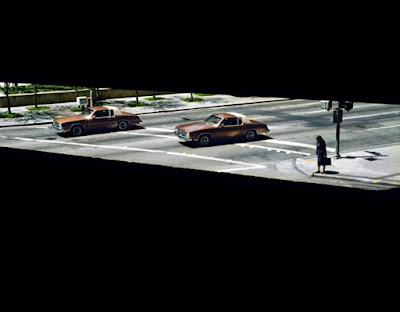 A new exhibition at the Museum Kunstpalast in Dusseldorf brings together 80 large-scale images, each capturing a unique moment. 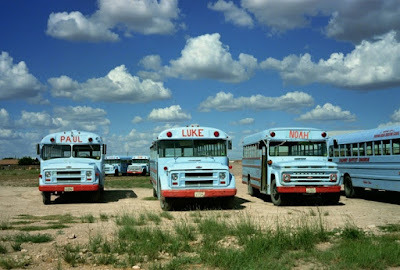 Neuware - Wim Wenders (geb. 1945) ist hauptsächlich durch seine Filme bekannt geworden, wie Paris, Texas, Der Himmel über Berlin und Pina, doch der Filmemacher bekennt: 'Die photographische Arbeit ist die andere Hälfte meines Lebens. Zu seinem 70. Geburtstag am 14. August 2015 richtet das Museum Kunstpalast in Düsseldorf dem Künstler eine Retrospektive mit großformatigen Photographien und Landschaftspanoramen aus. 'Wenn man viel unterwegs ist, schreibt Wenders, 'wenn man gern umherstreift, um sich zu verlieren, kann man an den merkwürdigsten Orten landen. Es muss wohl eine Art eingebauter Radar sein, der mich oft in Gegenden führt, die entweder sonderbar ruhig oder auf eine ruhige Art sonderbar sind. Anders als beim Filmemachen verzichtet der Photograph Wenders auf modernste technische Hilfsmittel. Er bevorzugt das analoge Photographieren, ohne Kunstlicht und Stativ. Der Katalog zur Ausstellung enthält neben Aufnahmen der letzten Jahre - u.a. aus der Umgebung von Fukushima nach dem Gau - Bilder aus den Serien Written in the West, Buena Vista Social Club, Einmal / Once, Bilder von der Oberfläche der Erde und Journey to Onomichi. 336 pp. Deutsch. Wim Wenders (born in Düsseldorf in 1945) is internationally renowned primarily for his movies, such as "Wings of Desire", "Pina" and "The Salt of the Earth", a portrait of the Brazilian photographer Sebastião Salgado. 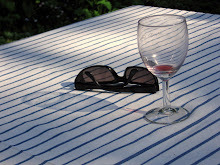 But the filmmaker acknowledges: Photographic work is the other half of my life. For decades he has created a photographic oeuvre quite independent of his filmic work: photographs of lonely, at times somewhat bizarre places and landscapes, of settings that have their own story. 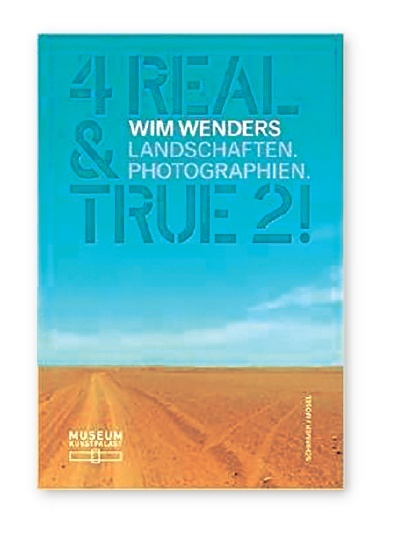 On the occasion of the artist’s 70th birthday in 2015, Museum Kunstpalast in collaboration with Wenders Images and the Wim Wenders Foundation is presenting a selection of about 80 large-scale photographs, which invariably are analogue creations, made without artificial lighting or tripod. The exhibits range from artist’s early black-and-white photographs and monumental landscape panorama pictures through to his rarely shown photographs of “Ground Zero” and new works that were made only last year. 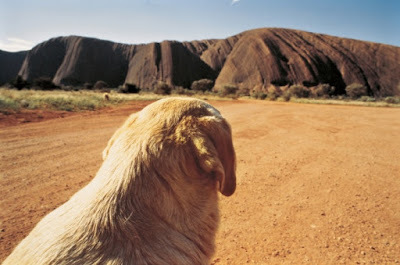 Wenders regards his photographic work, in the truest sense of the word, as an interaction of light (phos) and painting (graphein), offering the scope for capturing a unique moment in time. Wenders started with black-and-white photographs, and later switched to colour photography. In doing so, his interest in photography blended with his passion for painting. Wenders, who initially applied to study at the Academy of Art Düsseldorf without success and in 1967 finally started to study at the then newly-founded College for Television and Film in Munich, discovered the significance of colours for his work: He began to initially "see" a picture for its colours and to define the image section according to the colours. being both actual history and fiction." 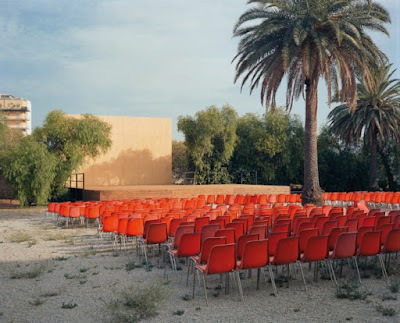 A farm house in a swaying cornfield, a rusty Ferris wheel on an empty field in Armenia, an abandoned open-air cinema in Palermo, a derelict house in the former Jewish quarter of Berlin – Wenders’ photographs rarely show people and yet bear testimony to humanity. 215 Seiten, überwiegend Abbildungen. Illustrierter Hardcoverband in neuwertigem Zustand. - In afrikanischen Städten spielt sich das Leben auf der Straße ab, wo Privatsphäre und Öffentlichkeit ineinander übergehen. Ein Gehweg wird unmerklich zur Familienküche oder verwandelt sich plötzlich in einen Laden. Das Verkehrschaos und lange Staus stellen für viele ein lästiges Hindernis dar, andere finden darin Arbeit und lukrative Verdienste. Die Metropolen in Afrika zeichnen sich durch informelle Strukturen und die Kunst zur Improvisation aus; die koloniale Vergangenheit hat ihre Spuren hinterlassen, die sich bis heute in sozialer Ungleichheit und schlechter Regierungsführung fortsetzen. Lard Buurman (*1969 in Zeist) fängt in seinen Fotografien die afrikanische Stadt als einen Ort permanenter Veränderung und unablässiger Begegnung ein. Das einzelne Bild setzt sich aus mehreren Momentaufnahmen zu einer typischen Szenerie zusammen, sodass der urbane Raum für den Betrachter lebendig wird. (Verlagsanzeige) Sprache: en Gewicht in Gramm: 1450 Gebundene Ausgabe. Englische Ausgabe. 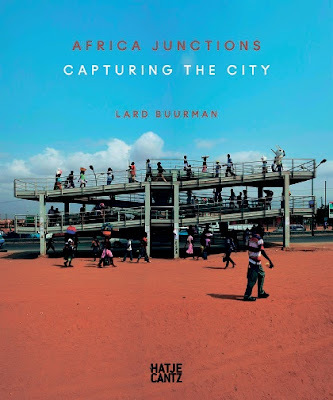 The photographs of Lard Buurman (born 1969) capture the African city as a site of permanent change and incessant encounter. The images are the result of combining several snapshots in time into a single scene, enabling the viewer to take in a vast spread of urban space. Bold, cheeky, dynamic, modern: Rotterdam ain’t afraid of no one. Again and again this city has been turned upside down, in a continuous process of demolition, (re)construction and expansion. Always forward! With the enormous port acting as a driving force for its economy and social life, Rotterdam holds a unique position within the Netherlands. High-rise architecture, space, water and wind determine the character of this multicultural, international city that longs to be a metropolis. The unique photographs, including work by Andór von Barsy, Marrie Bot, Kim Bouvy, Georg Hendrik Breitner, Wally Elenbaas, Carel van Hees, Peter Martens, Carl Emil Mögle, Kees Molkenboer, Cas Oorthuys, Pieter Oosterhuis, Bas Princen, Frits J. Rotgans and Paul Schuitema, make Rotterdam in the Picture a book that every died-in-the-wool Rotterdam lover will want to have. Compiled by Frits Gierstberg and Joop de Jong with a foreword by Wilfried de Jong. 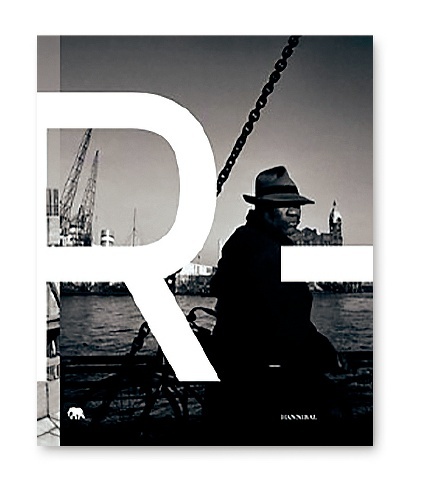 Publisher/Verlag: Thames & Hudson | From the 1900s to the Present | In the last decade there has been a major reappraisal of the role and status of the photobook within the history of photography. Newly revised histories of photography as recorded via the photobook have added enormously to our understanding of the mediums culture, particularly in places that are often marginalized, such as Latin America and Africa. However, until now, only a handful of Chinese books have made it onto historians short lists. Yet China has a fascinating history of photobook publishing, and The Chinese Photobook will reveal for the first time the richness and diversity of this heritage. 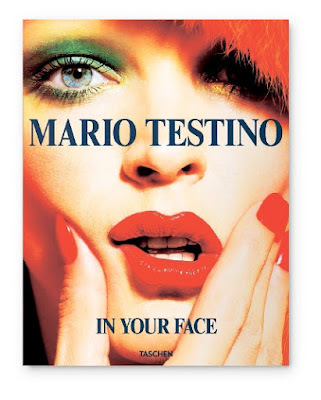 This deluxe, lavishly produced volume is based on a collection compiled by Martin Parr and Beijing- and London-based Dutch photographer team WassinkLundgren. 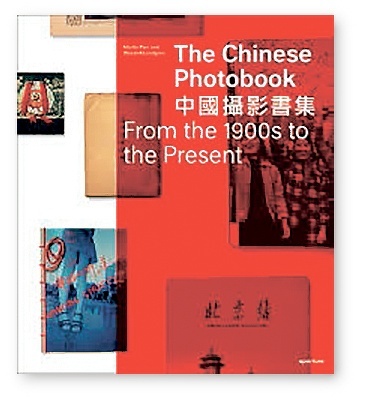 And while the collection was inspired initially by Parrs interest in propaganda books and in finding key works of socialist realist photography from the early days of the Communist Party and the Cultural Revolution era, the selection of books includes key volumes published as early as 1900, as well as contemporary volumes by emerging Chinese photographers. | Format: Hardback | Language/Sprache: english | 448 pp. 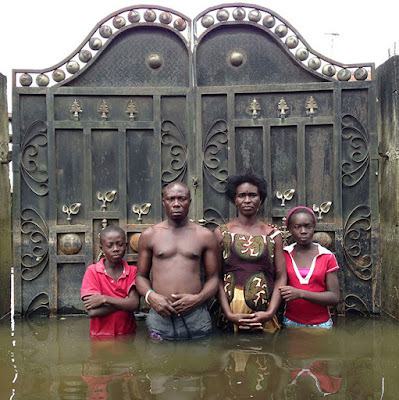 ‘Since 2007 I have visited six countries (The UK, India, Haiti, Pakistan, Australia and Thailand) that have been devastated by massive flooding. I have done this as an attempt to visually address the issue of climate change. 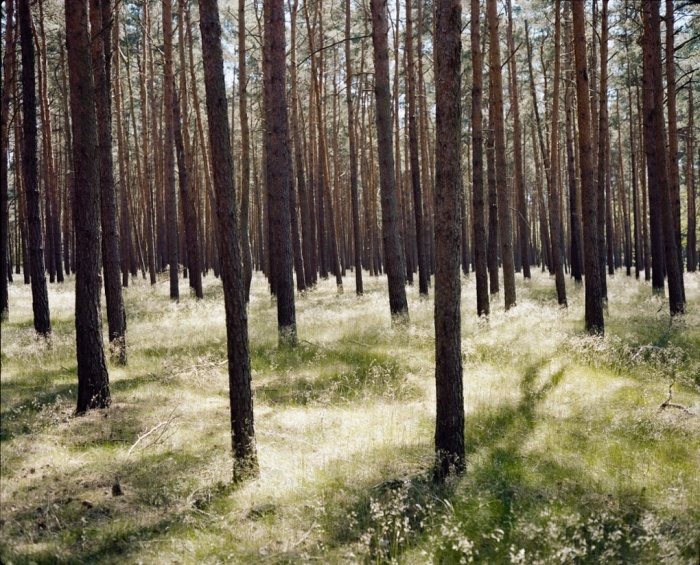 ‘I chose to shoot on film, using old Rolleiflex cameras. The heart of the project is a series of portraits of flood victims at their homes within the landscape of their own personal calamity. Making these images often involved returning with them through waist high floodwaters so they could show their circumstances to the world. Biografie: Gideon Mendel (1959) wordt beschouwd als een van de voornaamste hedendaagse fotografen ter wereld. Hij studeerde psychologie en Afrikaanse geschiedenis aan de Universiteit van Kaapstad. Hij begon te fotografen in de jaren ’80 tijdens de apartheidsperiode. Begin jaren ’90 verhuisde hij naar Londen, waar hij als fotograaf veel aandacht heeft gevraagd voor sociale problemen. Een van zijn belangrijkste thema’s is de HIV/aids-problematiek, onder andere in het project Through Positive Eyes. Zijn boek hierover, A Broken Landscape: HIV & AIDS in Africa, kwam uit in 2010. Mendel heeft gewerkt voor tijdschriften als National Geographic, Fortune Magazine, Condé Naste Traveller, Geo, The Sunday Times Magazine, L’Express, Stern Magazine en Rolling Stone. Hij werkt daarnaast regelmatig voor charitatieve instellingen zoals The Global Fund, Artsen zonder Grenzen, en Unicef. 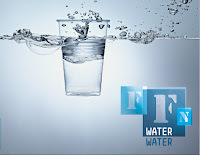 Over het project: In Naarden zijn werken te zien uit Drowning World, een serie waaraan Mendel sinds 2007 werkt. Dit project zet de slachtoffers van overstromingen in de schijnwerpers, als Mendels persoonlijke reactie op klimaatverandering. De werken hebben vooral de aandacht getrokken door de ongebruikelijke vorm van portretfotografie en door de combinatie van fotografie en video. During his years spent traveling around the smallholdings of suburban South Africa, Goldblatt became increasingly, fascinated by the complex relationship between, black and white. On the one hand, he despaired at the racism of these Afrikaners, which seemed to him to be “in the blood”. Yet at the same time, there was an intimacy that would have been unthinkable in the liberal homes of the cities. On this plot, the servants’ children ran in and out of the “master’s” house. At one point he turned and said, “ Yes, what are you doing here you black rubbish?”. But he said it with affection. 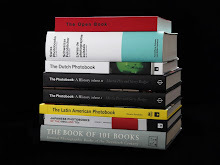 The biannual Photo Kees Scherer Prize for the best Dutch photo book has been awarded eleven times to top-class photographers: Catrien Ariëns, Bertien van Manen, Eddy Posthuma de Boer, Paul den Hollander, Theo Baart, Céline van Balen, Geert van Kesteren, Kadir van Lohuizen, Niels Stomp, Henk Wildschut and Viviane Sassen. 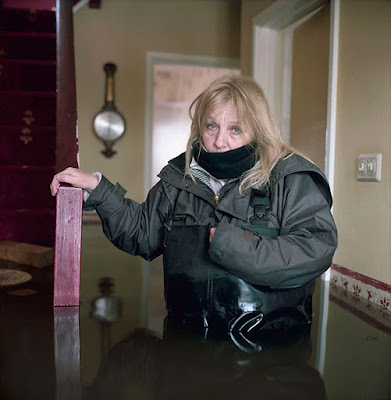 In 2015, the prize is given to Koos Breukel, during the Naarden Photo festival. A tradition since 1993, it will be concluded with the presentation of an extensive, compact, accessible publication presenting the winning books, combined with the jury report and also with current work by the prize winners. Hans van Blommestein worked as art director for Avenue. He was also chief curator of the Naarden Photo Festival, designer for the World Press Photo yearbooks and art director of M, the monthly magazine of NRC Handelsblad. He is co-compiler and designer of Fotofolio. Amsterdam, Rap. 1992, First Edition. (ISBN: 9060054512) Hard Cover Cloth, 309 x 275 Mm. 94 pages, B&W photography. Introduction by J.L.Heldring. 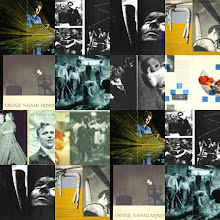 Epiloge by Catrien Ariëns. Text in Dutch. Small Square 4to, Unpaginated (ca 120pp). Printed wraps as issued. 73 colour plates and 2 photo collages. "Photographing in the former Soviet Union between 1990 and 1994, van Manen provides windows into Russian lives after years of struggle under the regime. Leading Polish journalist Ryszard Kapu ci ski, who died last year, noted in his introduction to van ManenÕs work that her lens stands apart from the typical journalistic report on Russia, capturing the Òmost inaccessible of places Ð the homes of ordinary people Ð in order to show us how millions of Russians live and sleep, what they eat, what they look like in their everyday life, in their flats, at their tables, in their beds.". Phenomenally beautiful. Voor het oog van de wereld. Posthuma de Boer, Eddy - Nooteboom, Cees et al. Amsterdam, Thomas Rap., 1996. Illustrated stiff wrappers (softcover), 30 x 24 cm., 288 pp. text in Dutch with b/w photographic illustrations and plates. Breda, Paul Den Hollander 1997. 1997, First Edition. (ISBN: 9080084948) Stiff Fold/Illustrated Wrapper, 321 x 318 Mm. 99 pages, illustrated in B&W. Fotowerken 1992-1994. (little) txt in Dutch and English. Voyage Botanique, SIGNED and dedicated by the photographer; voor Toon en Nelleke met alle goeds, Paul. Incerted Barietdruk; A.P. III Hortus Siccus. IV. # 1 - 1993 - Paul den Hollander - voor Toon en Nelleke - written in pencil. (the image of page 27 of the book). 243 S. Umschlag berieben, sonst gutes Exemplar. - Text holländ. und engl. - The Dutch countryside is under great pressure from, among other things, increasing urbanization. Bouwlust charts the transformation of Haarlemmermeerpolder - a striking example of urban development -from an agricultural to a suburban area. Haarlemmermeer was reclaimed in the middle of last century. Up until twenty years ago, the polder was used almost exclusively for agriculture. Urbanization of the polder began in the seventies. Schiphol Airport, which had been isolated, expanded and became joined to Hoofddorp, the polder's main village. Large new housing developments were grafted onto the village and the number of inhabitants increased ten-fold. A new landscape developed with car ports, 'semi-detached country cottages', pedestrian priority estates and shopping malls. The centre of this one-hundred-year-öld village was the scene of a struggle between the old and the new. The old lest. Now that it is almost completely disengaged from its past, the 'new town' is interchangeable with many other residential developments in the Netherlands: it is the country's main village. Theo Baart grew up in this area and over the past twenty years has photographed the process of transformation. He is not prompted by nostalgia, but by amazement at the way in which progress manifests itself. Tracy Metz describes how former administrators and civil servants perceived the transformation. Warna Oosterbaan examines the social and cultural changes attendant on this process. Noël van Dooren analyses the plans for the area. 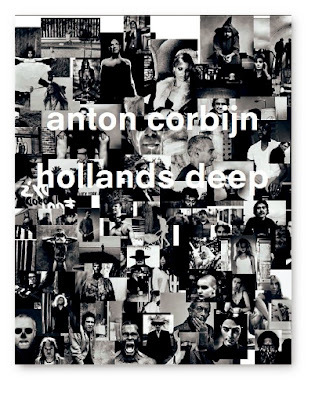 The book also includes a number of poems about the changing landscape by Willem van Toorn. The design is by Typography & Other Serious Matters. ISBN 9789056621018 Sprache: de Gewicht in Gramm: 1550 Mit zahlr. auch farb. Abb. Broschiert mit Umschlag. Amsterdam, Stichting Basalt & van Zoetendaal, 2002. 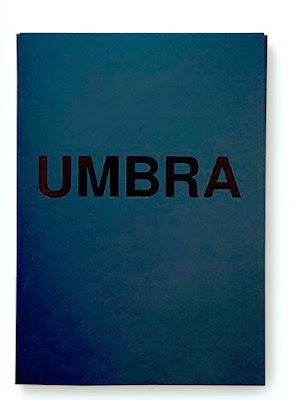 Cloth-covered boards (hardcover) with mounted color plate, 31 x 24,5 cms, 59 pp. text in English with color and b/w plates, biography, exhibit history, bilingual. Signed by Céline van Balen on title-page. Amsterdam, THE NETHERLANDS, Artimo., 2004, First Edition. (ISBN: 90-8546-009-3) Pictorial Wrappers, 8vo, np (544pp), 245 color illustrations. 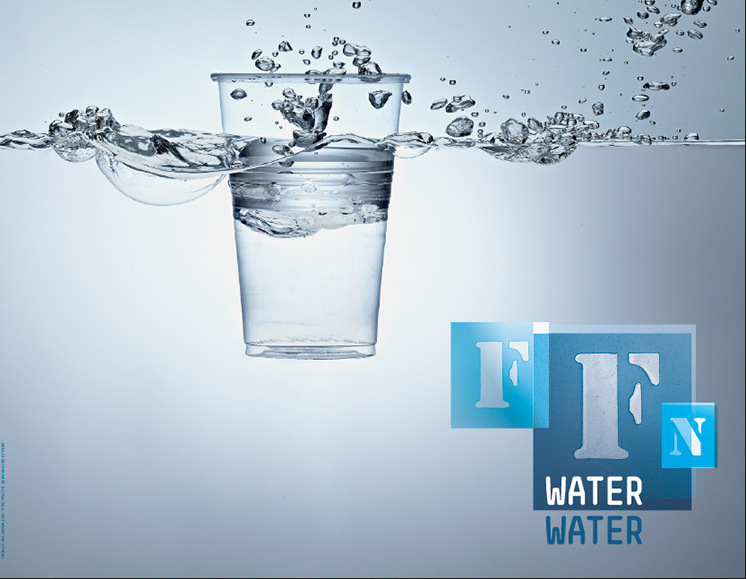 Text in English and Arabic. "Why Mister, Why?" is a compelling account from Dutch photojournalist Geert van Kesteren. For the most part of 2003 and into 2004, van Kesteren made these images in a struggling Iraq, intertwining them with his personal experience of the situation in diary-like notes. In that way, this body of work resonates with an honesty found only when the narrator and photographer of a story are one and the same. The situation in Iraq, following the declaration of "mission accomplished," represented a culture clash of rare proportions, and van Kesteren was witness to what went wrong. He saw clouds of sadness coming from the mass graves created by the Saddam regime, while Shi'ites enjoyed their awakening freedom. Embedded within the ranks of US troops, he witnessed disgraceful raids on Iraqi citizens. And these accounts are presented here for the reader to see, feel, and try to understand. In a clear photojournalistic way, van Kesteren outlines why it will take a long time before the Iraqi people can enjoy the semblance of peace. Accompanying the images is an introduction by Newsweek senior editor Michael Hirsh, with whom Van Kesteren shared several tense moments in Iraq". A pristine copy (cited on page 241 of Martin Parr and Gerry Badger's "The Photobook: A History Volume II" and page 45 of "From Fair to Fine 3") of the English and Arabic language edition of this eccentrically bound gem..
STOMPS, NIELS - MIST Three Gorges Dam China. In Henk Wildschut's powerful new book, he uses makeshift shelters to document the lives of migrants - whether they're known as refugees, asylum-seekers or illegal immigrants - who have traveled many miles to Europe but whose journey is still unfinished. Wildschut's photos show the remarkably inventive encampments built of waste materials in which these travelers exist, capturing the way in which this basic necessity of life shows the underlying story of violence, fear, political manipulation, desire, courage, sadness and anxiety. In focusing on the individuality of these dwellings - an incongruously colorful quilt, a plastic tent in a field of snow - Wildschut allows viewers to see these lives vividly, to transcend what he calls 'the platitude of photography.' Full-color photos, a rich essay and a beautiful fold-out cover. In Henk Wildschut's powerful new book, he uses makeshift shelters to documentthe lives of migrants - whether they're known as refugees, asylum-seekers or illegalimmigrants - who have traveled many miles to Europe but whose journey is stillunfinished. 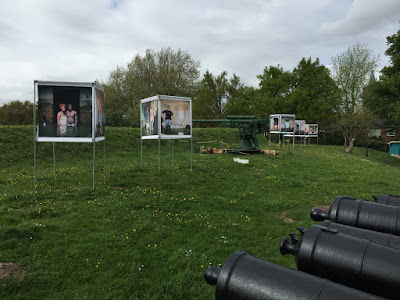 Wildschut's photos show the remarkably inventive encampments builtof waste materials in which these travelers exist, capturing the way in which thisbasic necessity of life shows the underlying story of violence, fear, politicalmanipulation, desire, courage, sadness and anxiety. In focusing on the individualityof these dwellings - an incongruously colorful quilt, a plastic tent in a field ofsnow - Wildschut allows viewers to see these lives vividly, to transcend what he calls''the platitude of photography.'' Full-color photos, a rich essay and a beautifulfold-out cover. Gebraucht - Sehr gut SG - Ungelesenes Mängelexemplar mit leichten Lagerspuren, Versand per Büchersendung - Farben, Formen, Posen - Modefotografie wird Kunst Die niederländische Fotografin Viviane Sassen zählt heute zu den erfolgreichsten Fotografinnen ihrer Generation. Ihre künstlerisch absolut eigenständigen Arbeiten, die sich zwischen den Genres von Mode-, Kunst- und Dokumentarfotografie bewegen, erscheinen in den wichtigsten Modemagazinen weltweit. Der Fokus liegt bei diesem Band auf ihren Kampagnen für Marken wie Miu Miu, Adidas, Stella McCartney, Diesel, Louis Vuitton, Viktor & Rolf. Gestaltet vom preisgekrönten niederländischen Designerbüro SYB, zeigt das Buch die ganze Bandbreite ihrer Bildsprache: harte Kontraste im Spiel von Licht und Schatten, knallige Farben und expressive Posen - Modefotografie als Kunstwerk. 296 pp. by Erwin Mortier, et al. Paradox is pleased to announce that Me We by Koos Breukel is nominated for the Photo Kees Scherer Prize. 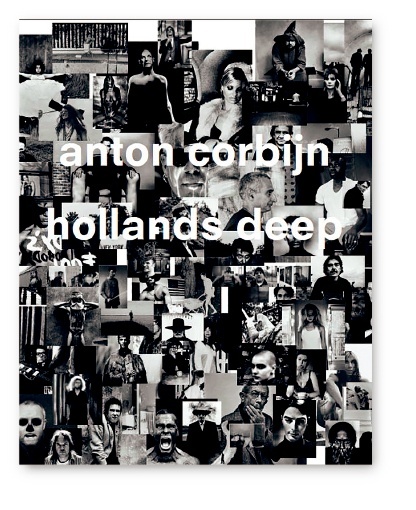 This biannual award is given to the best photobook of 2013 and 2014 in The Netherlands. Me We is the title for Koos Breukel’s magnus opus: a book bringing together the pictures from the first 30 years of his career. Koos Breukel’s aim has been to produce truthful portraits, approaching his subjects with an unprejudiced integrity. However dark his portraits may feel, he is passionate about life. Be born, grow up, develop and express oneself, love, suffer and die. The jury of the Photo Kees Scherer Prize consisted of Anneke van Veen, Anthon Beeke, Hans van Blommestein, Ellen Dosse, Marga Rotteveel, Max van Rooy and Rik Suermondt. Out of 158 submissions, three books were nominated; Me We by Koos Breukel, The Edge of Civilization by Eddy van Wessel, and Rijksmuseum by Wijnanda Deroo. The publication Me We is designed by Sabine Verschueren and co-published by Paradox, YdocFoundation and Hannibal Publishing. The winner of the Photo Kees Scherer Prize will be awarded 5000€. The result will be announced on May 14th during Photofestival Naarden. As part of this event, a selection of submitted books will be showcased. The Photo Kees Scherer Prize 2015 is the twelfth and final edition. The Photo Archive Kees Scherer, founded in 1987, has decided to terminate its activities. The financial resources that made the award available have come to an end.